[vc_row][vc_column][vc_column_text]Accommodation on the Capri I is just out of this world. The main deck is where the full beam owner’s suite is situated which has a king size bed, sitting room, and vanity. The enormous onyx bathroom has his and her facilities while the suite boasts four closets, a spacious shower and soaker tub. All of the functions in the room like music, movies, and TV are controlled by an iPad. Three lower guest cabins have queen sized beds including couches as well as marble bathrooms with shower along with a bathtub. 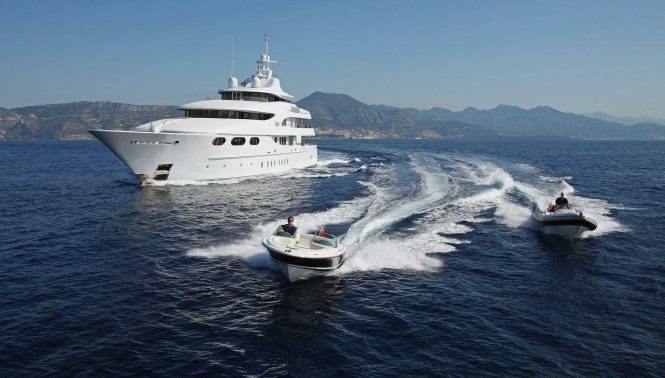 This 58.6m superyacht was delivered in 2003 by Lurssen. Capri, really does stand out from other superyachts. The crew of 14 ensure everyone on board is well looked after during the voyage. On board, there’s a gym, a library, and dining room. 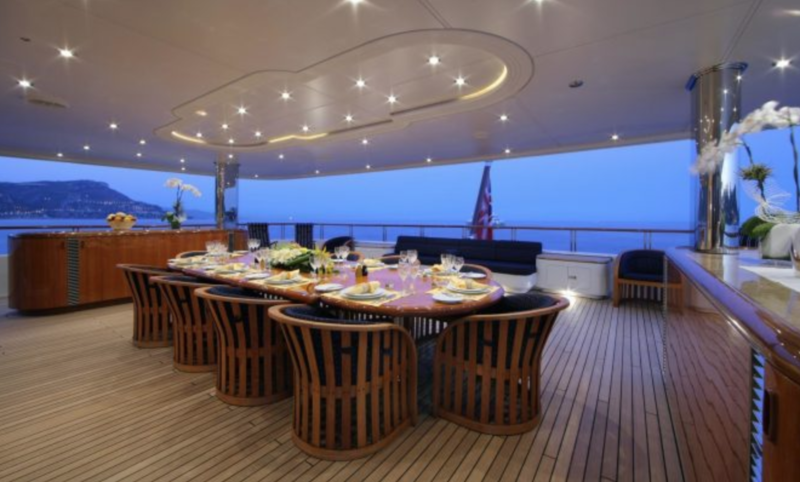 Two al fresco dining areas are also on board Capri I for guests to enjoy an evening breeze while dining. The main saloon is the ideal place to entertain friends or the cocktail lounge with semi-circular bar makes a relaxing area to enjoy a drink or two. A raised Jacuzzi is another place to chill out in or spend some time on the sun loungers in the sun soaking up those hot Mediterranean rays. [gmap-embed id=”917″][/vc_column_text][/vc_column][/vc_row][vc_row][vc_column][booking section_title=”Book A Yacht” background_image_url=”http://yachtfantasea1.local/wp-content/uploads/2016/10/image8.jpg” sale_form_id=”375″ charter_form_id=”374″]Join our email list and have the chance to win FREE Charter!